If you have a head for business and a heart for people, then you are at the right place. 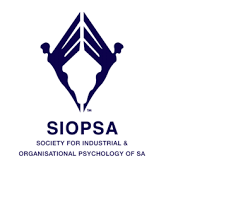 Industrial psychology is the component of applied psychology that deals with work in organisations and includes, among others, the selection and placement of members of staff, training, job evaluation, motivation and performance evaluations. Industrial psychologists are involved with aspects such as employee and employer relationships, organisational behaviour, the identification and development of talent, as well as the work environment and its impact on employees. Many industrial psychologists are employed full time in organisations, while others make a living a private consultants or executing specialised contracts in industry. Training and development – Assess employee skills and training needs plans and programmes in order to improve productivity and performance. Recruitment and assessment – Development of job descriptions, filtering and testing applicants and make employment recommendations while assessment tools are developed to measure individual performance. Safety and risk assessment – Study environmental aspects in order to minimise the risk of disease, injury or stress in the workplace. Work life – Industrial psychologists focus on the social environment and how it incorporates the needs of employees’ general health and wellbeing, work satisfaction, as well as personal and professional goals. Management and leadership – Industrial psychologists manage an organisation’s management structure, culture, goals, values and beliefs as stipulated in the mission and vision statements as they apply to employees’ work satisfaction, as well as physical and emotional health in the work place. Human resource management – Human resource practitioners investigate complaints from employees, accusations of misbehaviour at work and matters between employees. They can also conduct employee interviews in order to assess the job candidate’s skills and personality, as well as determining the fit between the prospective employees and the organisation. Managers in this field of expertise also develop employment policies for the organisation.